Crankbaits come in every conceivable size, shape and color but the majority are designed to float at rest and dive when retrieved. Countdown or sinking crankbaits make up on a small percentage of the lures available and often the sinking versions are the best fish catchers. Nine out of 10 crankbaits float at rest and dive when retrieved. It’s that one crankbait out of 10 that does things a little differently that walleye fishermen have unfortunately ignored. Sinking or what are commonly called countdown lures bring a new set of standards to the crankbait party. Crankbaits that sink aren’t rare, but among walleye fishermen these lures are rarely used to their potential. An exception to the rule would be the legendary Rapala Countdown Minnow. This sinking stickbait has been catching walleye and earning a place in countless tackle boxes for decades. 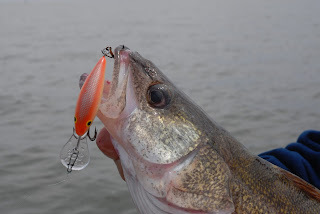 It might come as a surprise to Fishing 411 Blog readers that sinking style body baits have a deep tradition in walleye fishing and especially for targeting big walleye! For example, a couple of the past Ohio State Walleye Records have been held with a sinking crankbait. The also legendary Bill Lewis Rat-L-Trap was designed for bass fishing, but it also triggers savage walleye strikes. The Rat-L-Trap is especially deadly in waters that have an abundance of gizzard or other shad species on the forage menu. In the case of Lake Erie where these Ohio records were set, the Rat-L-Trap does a great job of imitating shad and turning walleye heads. The current Ohio State Walleye Record, a 16.19 pound giant, was caught by Tom Haberman fishing for perch using a live bait rig. Not all the big ones fall to name brand lures! Most crankbaits float at rest and dive when retrieved. Water resistance pushing against the lip causes the lure to dive. Meanwhile the buoyancy of the lure and friction from the line passing through the water is working in an opposite way to restrict diving depth. 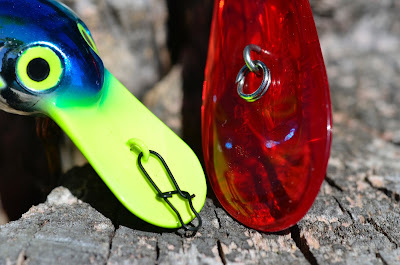 The fundamental design of a floating plug allows these lures to be fished effectively over the top of rocks, emerging weeds or other fish holding cover. By manipulating important variables like casting distance, line diameter and rod position an intuitive angler can effectively control the diving depth of a floating crankbait with amazing accuracy. Casting distance and line diameter are the two most important factors to consider. The further a plug can be casted, the deeper it will run. In general, small and lightweight crankbaits are poor choices for casting because they can only be thrown modest distances. Line diameter is the second factor that dictates crankbait running depth. Thin lines have less resistance in the water and allow these baits to achieve maximum depths. For walleye casting applications, six or eight pound test monofilament is a good option, but a growing number of anglers favor casting with super braids or fused lines in the 10 to 15 pound test range that represent the ultimate in thin, yet exceptionally strong fishing lines. Not surprisingly the relative size of the diving lip also plays a role in the depths a respective plug can achieve. Amazingly, even a crankbait with a big lip, will reach only moderate depths on an average cast. Several factors work to prevent these lures from reaching more significant depths, but lure buoyancy is one of the biggest factors to overcome. A floating crankbait resists diving and requires most of the total casting distance to overcome the forces of buoyancy and friction. On a typical cast, a buoyant bait doesn’t reach maximum depth until the last 1/4 of the retrieve. Ironically, just about the time the lure is reaching the target depth, it’s also nearing the end of the retrieve. As a result, floating crankbaits fish a targeted depth zone only a small percentage of the time they are in the water. Because the typical floating plug is at maximum depth for only a brief period of time, the efficiency of these lures comes into question. A floating crankbait is fishing an effective strike zone only about 25% of the time it’s in the water! Ouch. Some models of crankbaits are designed to dive at steeper angles and run at target depths for longer distances. Lures that dive at a steep angle only increase the effectiveness of a crankbait marginally. with the added advantage of a diving lip. A sinking style crankbait has a completely different dynamic. Because the lure can be counted down to specific depths before the retrieve is started, a sinking or countdown lure can effectively be presented at a desired depth along the majority of the cast. The second advantage of using sinking crankbaits is they can be used to effectively fish much deeper water than is practical with a floating style lure. Thirdly, sinking lures can be fished at ultra slow speeds to increase depth, or the retrieve can be quickened to enhance the lure action. Sinking crankbaits have traditionally been offered in two common styles including minnow or stickbaits and lipless versions. In the stickbait category a number of popular brands and sizes are available including the Rapala Countdown Minnow, Salmo Sinking Minnow and Yo-Zuri Emperor Minnow and SW Pins Minnow. 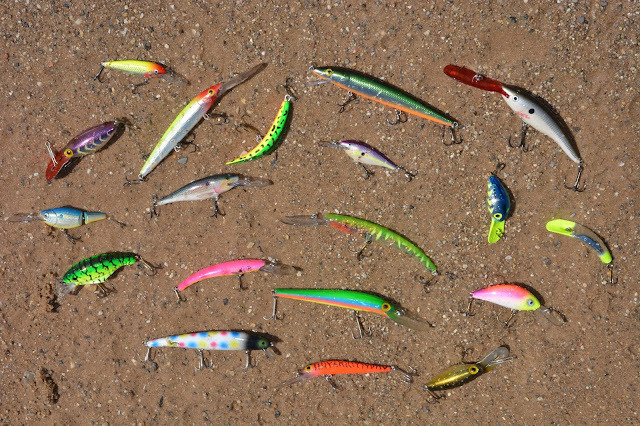 In the lipless crankbait category the list of available lures is much larger. The Rapala Clackin’ Rap, Salmo Zipper, Cotton Cordell Super Spot, Bill Lewis Rat-L-Trap, XCalibur XR50 and Sebile Flats Shad just to name a few. All of these lures feature a high frequency rattle that’s designed to imitate the sound shad make. Also, because of the lipless design, these lures are great options for fishing among weed cover that would make using other plug designs challenging . A third and little known option in the sinking style crankbait is offered by Salmo a Poland based manufacturer. Salmo offers several of the their most popular diving lip style crankbaits in both floating and sinking versions. The popular Hornet, Perch and Bullhead are all produced in multiple sizes and both floating and sinking versions. Combining a diving lip with a sinking crankbait allows these lures to achieve greater depths than possible with floating/diving plufa or traditional countdown style lures. This unique category of crankbaits is kind of in a class by itself because the lure is both sinking and diving to achieve depth. Using this unique lure group opens up crankbait fishing options in both shallow and deep water. Cranking along deep water breaks, targeting submerged islands, working flats and cliff edges are just a few of the options using a sinking/diving crankbait brings to light. Fishing sinking/diving crankbaits can also be productive casting along defined weed edges, visible cover such as rock piles, fishing along rip rap or shore protection and other places that concentrate baitfish and attract walleye. because they stay in the “strike zone” longer than traditional crankbaits. The idea of using sinking crankbaits isn’t completely foreign, but it is surprising how few walleye get the most from these lures. The next time the idea of fishing a crankbait comes to mind, ask yourself if a sinking model wouldn’t be more efficient.